The common identity between the members of a global society is reinforced because they share values and activities that are part of a conscience unity tha allows to establish more solid bonds. Besides, we are organized within a geographical context that influences positively when aiming at a practice of excellence, useful to our patients. It is necessary to highlight the global presenc of the College, no only in it geographical environment, but also beyond it. It must be mentioned its participation in Asia, Europe and the whole of the American continent. 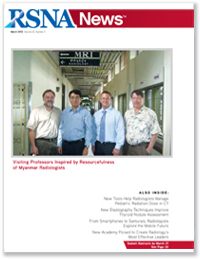 This experience stresses the academic growth of Iberian American radiology, Spanish being the predominant language. We are aknowledged by the main organizations and we constatnly promote our activity, from country to country, in all continents. But none of this would be possible without your participation. That is why we invite you to connect with our institution, to be promoters of its activities, to have a proactive attitude with a sense of belonging, and to play an active part in one of the most winderful and spectaculr specialties of medicine. 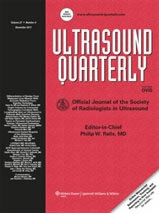 2012 shall be an active and busy year and it is important to have in mind events like the ICR Brazil in May together with JPR, the CIR Congress in October in El Salvador and the 2nd CIR@RSNA Session in Spanish in November. We should also consider the activities that will take place in each country, which are displayed in the NOTiCIR Events section. We are global. We are CIR! 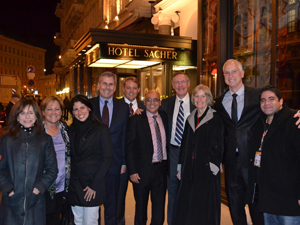 The first week of March the ESR Congress in Vienna, Austria (ECR 2012) took place, with a massive attendance from all five continents. The Directive Council of CIR was very active during the whole session through its president, doctor Oswaldo Ramos, its vice president, doctor Gloria Soto and doctor Fermín Sáez, Treasurer. The attendance to the annual assembly of IRQN (International Radiology Quality Network) in which we discussed very important issues; for instance, the new clinical guides. It was reminded that the CIR, the ECR, the ACR and the RSNA representatives will unify their criteria in order to have one official representation before universal entities sich us the WHO as regards protection programs and radiologic training. There was also an extraordinary meeting of ECR with the Iberian American representatives that were present in the event. (Argentina, Spain, Chile, Venezuela, Mexico and Brazil.) In said meeting, the strategic alliances among institutions were outlined; education was the central issue. Before the ECR authorities, CIR promoted the Congress in El Salvador taking place in October and requested that its president be present in our event. 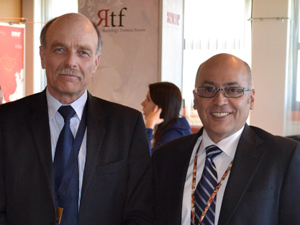 Doctor Andrá Palkó, president of ECR, doctor Oswaldo Ramos, president of CIR. 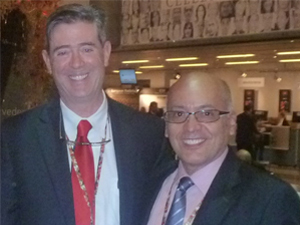 Doctor Erik Stern, Go Rad editor and collaborator of NOTiCIR, doctor OSwaldo Ramos, president of CIR. Delegations of Spain, Venezuela and Mexico. Doctor N. Maza, doctor C. Ayuso, doctor E. Fraile, doctor G. Perdigon, doctor O. Ramos and doctor M. Díaz. 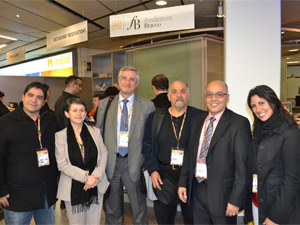 Doctor O. Ramos (CIR), doctor M. Díaz, doctor N. Maza (Venezuela), Dr. B. Drayer, doctor G. Bisset, doctor M. Watson (RSNA) and their wives. 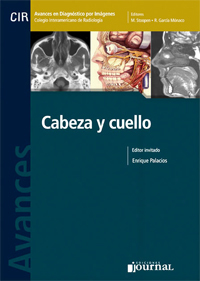 The Spanish Society of Muskuloskeletal Radiology (SERME) is a medical and scientific association and a section of the S.E.R.A.M. Its purposes aim at the diagnostics and treatment related to the locomotive system, through image. It also organizes an annual session and cooperates with other societies in several activities of multidisciplinary training. 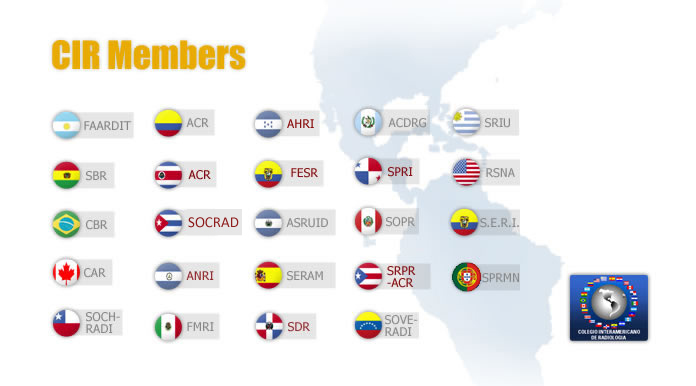 Its Board of Directors is formed by doctor José Martel (President); doctor Xavier Tomás (Vice President); doctor Eva Llopis (General Secretary); doctor M. José Ereño (Treasurer); Alternative Members: Doctor Silvis Martin; doctor Mario Padrón, doctor José Manuel Morales, doctor Jospe Narváez, doctor Lorenzo Muntaner and doctor Francisco Amores. 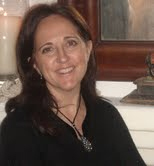 Thanks to its General Secretary, doctor Eva Llopis from Valencia City, the web page (www.serme.org) is available for all registered members of CIR. We invite the whole communitiy of the Interamierican College of Radiology to visit it and register in order to enjoy its benefits. Salvador Calatayud Costa was a Spanish radiologist, scientist and researcher (Pedreguer, Alicante 1880 - Madrid, 1931.) He was a pioneer in Europe for his way of using Radiology in both a diagnostic and a therapeutic way. He was the founder of the Spanish Society of Radiology and Medical Electrology in 1917. He is considered the responsible for introducing radiotherapy and diathermy in Spain. He began his medical training in the Faculty of Valencia in 1895 and he obtained his degree in the Complutense University of Madrid in 1990, enhancing his education in France, Germany and Austria. In 1904 he attended the radiotherapy trials in Paris carried out by doctor Daulos at the Saint Antoine Hospital, in collaboration with Pierre and Marie Curie. In 1905 he settled in Valencia and he was considered the responsible for introducing radiotherapy in Spain throughout 1906. His doctoral thesis dealt with The Roentgenotherapy of uterine fibromioms. In 1910 he was appointed Delegate of the 5th International Congress of Medical Electrology and Radiology in which he introduced his fundamental work: Diathermy which pointed out the introduction of this method in Spain and its application in gynecologic therapy for the first time; this supposed an advanced of international effects. 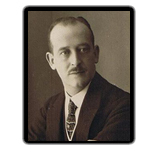 In 1915 he moved to Madrid, where he founded and directed an electromedic institute. Thanks to his encouragement, the Spanish Royal Society of Medical Radiology and Electroradiology was founded in 1917. As its secretary, he read the opening speech: The Need to establish the teaching of Medical Electricity in Spain. In the 1st National Congress of Medicine, held in Madrid in 191, he presented the issue Radioactivity in Therapy, and he was the organizer of the sections Radiology and Electrology. He was the first Lecturer of Medical Radiology and Electrology in the Central University (currently, the Complutense University of Madrid) and in 1920 he was able to modify its rigid structure. He was also founder of the Spanish Magazine of Electrology and Radiology; he published more than 30 articles related to radiotherapy and roentgenology, and more than 20 articles on electrology. He was in charge of translating the work of the most famous radioelectrologists of the time. In 1928, he delivered a series of conferences in the main scientific centers in the United States, such as the Society of Radiology, the University of Columbia or the Pan American Hospital. He had wide artistic skills and he had the chance of playing the guitar in Paris before Queen Elizabeth II.